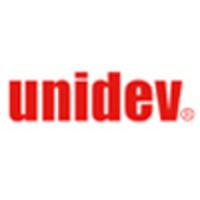 Unidev is a diversified IT company, focused on the application of technology to business. “With emphasis on steady growth, we’ll continue to adapt to the needs of our customers and I hope to be here for another 20 great years.” - Greg Alexander, Unidev CEO. On January 1, 2010, Unified Development (Unidev®), a St. Louis-based Software Development firm, celebrated their 20th anniversary. Using the latest technologies, the most talented associates and the principles of quality management, Unidev has proven to be a strong national resource for providing clients with high-quality, custom software solutions. The 20th anniversary marks an important milestone for the company. Major achievements gained in just over the past year include the development and launch of Auctori™ , a Microsoft Certified Global Web Content Management System (WCMS) built for search engine optimization (SEO). In addition, Unidev opened the doors to a new office location in Chesterfield, Missouri on August 1st, which provided a larger operating space to accommodate the company’s growth. The new location offers improved facilities for client meetings, demonstrations, training and seminars. Plans are already under way to expand the space again by April 1st, 2010 to accommodate Unidev’s continued expansion. Founded on January 1, 1990, Unidev looks quite a bit different than it did at its origin. Starting with just two employees, who focused primarily on programming for smaller companies, Unidev saw demand increase after its first six months in business as the young firm’s reputation grew. To the excitement of the founder, Greg Alexander, a consistent growth pattern emerged and continued for the next several years. “There have been so many changes and shifts in the technology space that have affected our business over the years. To start with, in 1991, we were approached by a Fortune 1000 company with an opportunity that really was a great fit for our team. We were just in the right place at the right time on this one. There just were not that many shops specializing in one of our core competencies at the time, high performance, high capacity PC database development. Then through the 90s, our field technology consulting business area grew very nicely as resources were scarce and firms needed expertise that was not in-house. Around 2001, with the end of Y2K, the dot-com bust and 9/11, the technology business really slowed down. We responded with a shift to doing more in-house projects that satisfied client needs not being met through off-shore development resources. This allowed us to pick up a number of large customers with long term contracts. Even now, that business continues to show solid growth for us,” said Alexander. Quality partnerships play a big role in Unidev’s long term success. Unidev has been a Microsoft Certified Partner for 16 years with emphasis on custom development solutions and data management solutions. This partnership has enabled Unidev to work closely with the latest Microsoft technologies and allows the software development division of the company to deliver the very latest and best solutions to their Microsoft-based customers. Since 2006, through a planned diversification of services, Unidev has been providing Internet marketing and web design capabilities through its wholly owned division, The Net Impact®. The Net Impact utilizes the latest in Internet strategies, SEO best practices and web design solutions to provide completely customized and effective online solutions for customers. Unified Development, Inc. (Unidev) is a diversified IT company focused on the application of technology to business. Founded in 1990, Unidev has a long history of successfully meeting the customers’ needs with proven, reliable and cost-effective solutions. Unidev provides productivity applications, custom software development and technology consulting services to both business and government. For more information on Unidev, please visit http://www.unidev.com, or call (636) 532-4424. The Net Impact, a full-service Internet marketing and web design company, is a division of Unidev®. Since 1997, The Net Impact has been a web development leader empowering clients with highly creative search engine friendly websites. Professional services encompass search engine optimization and Internet marketing solutions, Internet strategy development, training and seminars, social media marketing and design, and web design and development. For more information on The Net Impact, please visit http://www.thenetimpact.com, or call (636) 787-7800. Auctori™, a Unidev® solution, is a high capacity, high performance multi-lingual Web Content Management System (WCMS) built for search engine optimization. This turnkey solution gives the user the power to add, edit, and delete pages, content and navigation elements on the user’s website instantly. In addition, users have the ability to manage user profiles and settings all within the content management system. For more information on Auctori ™ or for a free demonstration, please visit http://www.auctori.com, or call (888) 629-4672.